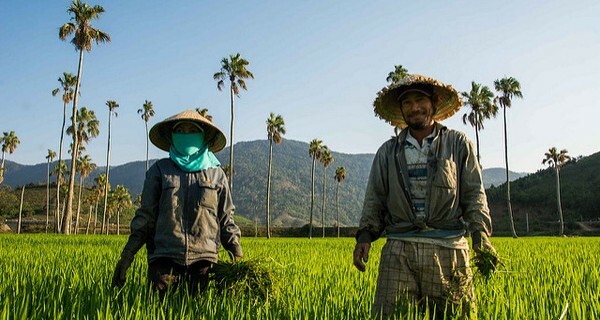 The UN Food & Agriculture Programme estimates that there are 2.5 billion people engaged in full or part-time smallholder agriculture, managing an estimated 500 million farms worldwide. They all rely on good weather for successful crop yields. When weather fails, index insurance can step in by insuring farmers against seasonal crop loss, by comparing seasonal rainfall estimates against historical rainfall amounts. If the current season’s rain amount falls below a certain value, the insurer makes a payment to the farmer, without the need for traditional insurance assessors to investigate individual claims. The problem is that rainfall measurements rely on sparsely located weather stations or noisy satellite imagery, neither of which provide good enough data in areas with high rainfall variability and small field sizes. The lack of good data in turn makes farmers less likely to participate in insurance programmes, leading to vulnerability to bad weather and economic instability. Engineer Ralph Lin and economists Katya Vasilaky and Ayeh Bandeh-Ahmadi founded a startup in Washington DC, USA, called Groundtruth, to address the problem. Pulling together a combination of data from satellites, ground sensors and local mobile phone users, Groundtruth can gather data streams that are much more accurate, cost effective and easier to deploy at scale. The team won the latest round of Bill & Melinda Gates Foundation’s Grand Challenges Explorations, and will use the funding to build lower-cost ground sensors to aid their work and help farmers get more accurate data at a cheaper price point.